Ajinkya Rahane remained not out on 65 off 53 balls. The Sawai Man Singh Stadium in Jaipur saw Rajasthan Royals hosting the in-form Sunrisers Hyderabad in the 28th match of the IPL 2018. Rajasthan Royals were looking to move into the top four of the points table, while SRH were looking for a win to regain the no.1 position. Kane Williamson won the toss and chose to bowl first. Alex Hales came in the SRH line up for his IPL debut, while RR brought in Mahipal Lomror. SRH start was not a good one as Shikhar Dhawan was sent back by Gowtham for 6. Hales (45 in 39 balls) and Kane Williamson (63 in 43 balls; 2x6s,7x4s) added 92 runs for the second wicket. 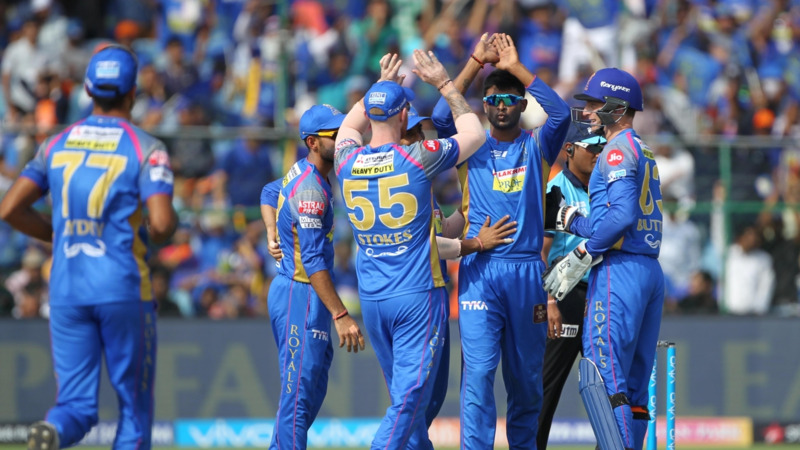 However, after his dismissal, RR bowlers strangled the SRH batting, as Archer took (3/26) and Gowtham took (2/18) to restrict SRH to 151/7 in 20 overs. RR knew that their work was cut out due to excellent SRH bowling. Their chase was further complicated by Rahul Tripathi getting out to Sandeep Sharma for 4 and then Ben Stokes returning for a duck, bowled by Yusuf. But Ajinkya Rahane carried the team through till the end. In the end, the SRH bowling managed to keep RR under control and Ajinkya Rahane kept looking for a nonexistent partner who could hit some big shots. He remained not out on 65 off 53 balls with 5 fours and 1 sixes. Siddarth Kaul was brilliant with the ball taking 2/23. SRH defended another below par total and move to the top of the points table of the IPL 2018.